The Trump administration’s newly-appointed special envoy to monitor and combat antisemitism will take his first official trip to Slovakia and Belgium this week. On visits to Slovakia and Belgium, Elan Carr will attend conferences on combating antisemitism in the OSCE region and in the European Union in Bratislava and Brussels, respectively, according to the State Department. Trump’s team kept the position vacant for over two years, despite a congressional requirement to fill it, and pressure from lawmakers to appoint someone. US Secretary of State Mike Pompeo formally announced Carr’s appointment this week to praise from both sides of the political aisle. “Special Envoy Carr is a former criminal prosecutor, and currently serves as a military officer. He has also served as an anti-terrorism expert, and a Jewish community leader who has played a prominent role in defending the safety of the Jewish people at home and abroad,” Pompeo said on Tuesday. 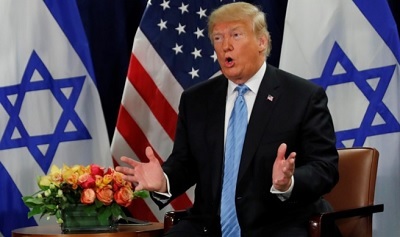 “Promoting human rights and religious freedom, including by combating antisemitism everywhere it exists, is a US foreign policy priority that furthers our national interests of stability and democracy,” he continued. “We will not stand by in the face of oppression.” Continue Reading….